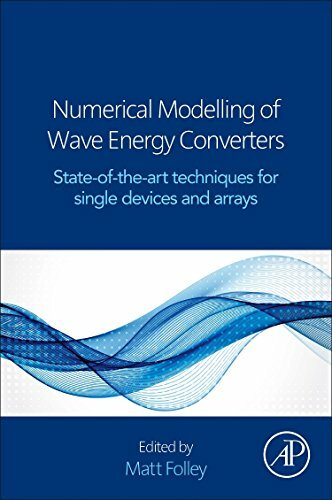 Each chapter starts by defining the fundamental principles underlying the numerical modelling technique and finishes with a discussion of the techniqueÃ¢ÂÂs limitations and a summary of the main points in the chapter. The contents of the chapters are not limited to a description of the mathematics, but also include details and discussion of the current available tools, examples available in the literature, and verification, validation, and computational requirements. In this way, the key points of each modelling technique can be identified without having to get deeply involved in the mathematical representation that is at the core of each chapter. About: Numerical Modelling of Wave Energy Converters: State-of-the Art Techniques for Single WEC and Converter Arrays presents all the information and techniques required for the numerical modelling of a wave energy converter together with a comparative review of the different available techniques.